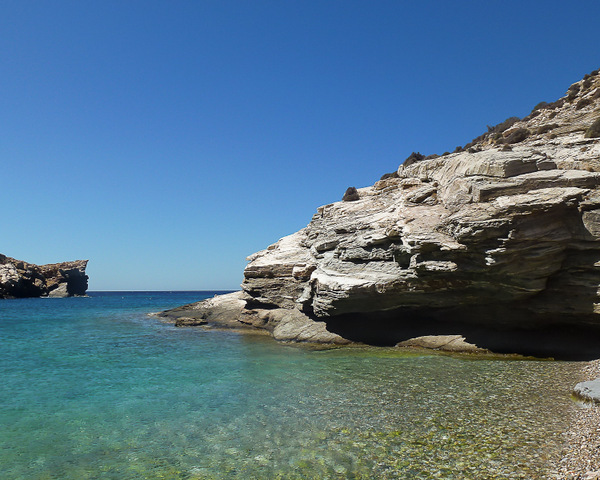 I crossed the oceans, visited many faraway places, but only a few gave me the emotions I felt in Folegandros. I made several trips to Greece when I was a University student (at that time, it was one of the cheapest holiday options for us Italians) but never visited the Cyclades, the most famous between the Greek islands. Later on, when I started working and could afford more expensive trips, my journeys drove me farther and farther from Europe, and the Cyclades seemed both too close and too far. As soon as I set foot in Folegandros, I knew I should have come long before. I could immediately feel the charm that is so typical of Greece, my heart missed, it was like going back to a time that I had almost forgotten. Far less touristy than the fashionable and trendy Mykonos and Santorini, the island of Folegandros has largely kept its authenticity. People chatting on the threshold of their little houses, men sitting at the bar, peacefully reading the newspaper while drinking coffee or a glass of Ouzo, the local apéritif made of anise. Just outside the village, where we ventured with our rented motorbike, we met local farmers riding donkeys, their sole mean of transportation throughout the island. Their faces are burned by the sun, their wrinkles tell stories of a hard life but also of serenity. 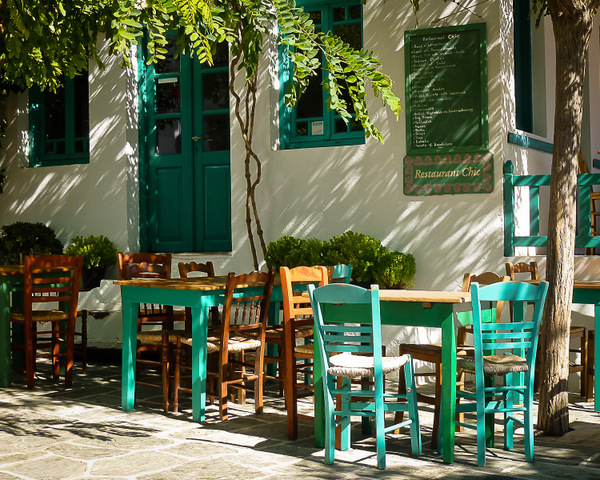 Time flows slowly in Folegandros, as if people were still able to savor every moment of their day. Far from the hectic city life, I felt like immersed in a new dimension, giving me a wonderful sense of peace. From the main village up the hill down to the beaches, to meet the clear blue water of the Mediterranean sea. Small creeks, some of which can only be reached by boat, surrounded by rocks and the sparse greenery. The beautiful shades of blue and turquoise of the sea invite for a long refreshing bath. The beach was peaceful and I was surprised – and grateful – to see only a few people in this little corner of paradise. Sunset is a magic hour. We walked up to the little church to admire a breathtaking view on the surrounding fields tinted in red, and the sea, farther on the horizon. It’s the time when the white washed houses take the color of gold, and the air becomes crisp. 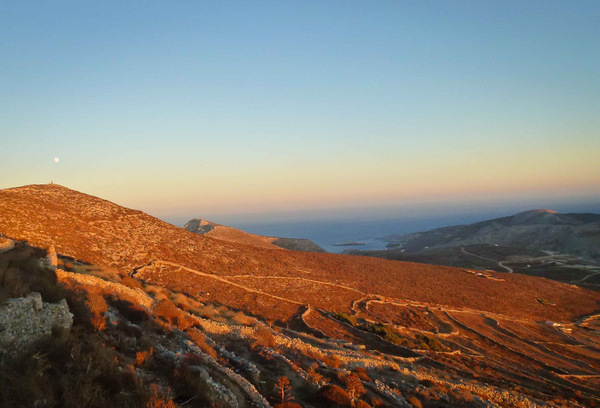 In the evening, Folegandros bursts of life. People sitting outside at one of the colorful tables of the local Tavernas, serving delicious food, chatting, enjoying their time. There’s not much fashionable nightlife as you may find in other islands of the Mediterranean, just the pleasure of great food, a good bottle of wine, nice conversation, a stroll along the tiny streets. And then back to the Fata Morgana, the charming place where I was staying, with a wonderful view on the blue Mediterranean sea. 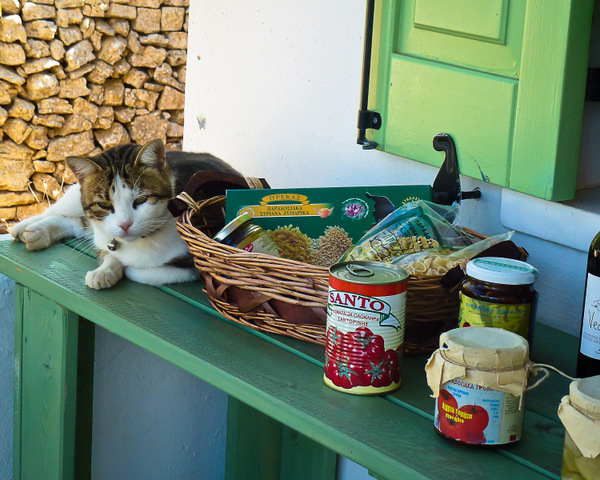 I crossed the oceans, visited many faraway places, but only a few gave me the emotions I felt in Folegandros. This little island enhanced all my senses. The brilliant colors are a feast for the eyes, the smells a joy for the nose, the savor of fresh tomatoes perfectly ripened by the sun a wonder for the palate. I felt in a state of pure bliss. And I can’t wait to go back. Have you been to the Greek Cyclades? How did you like them? 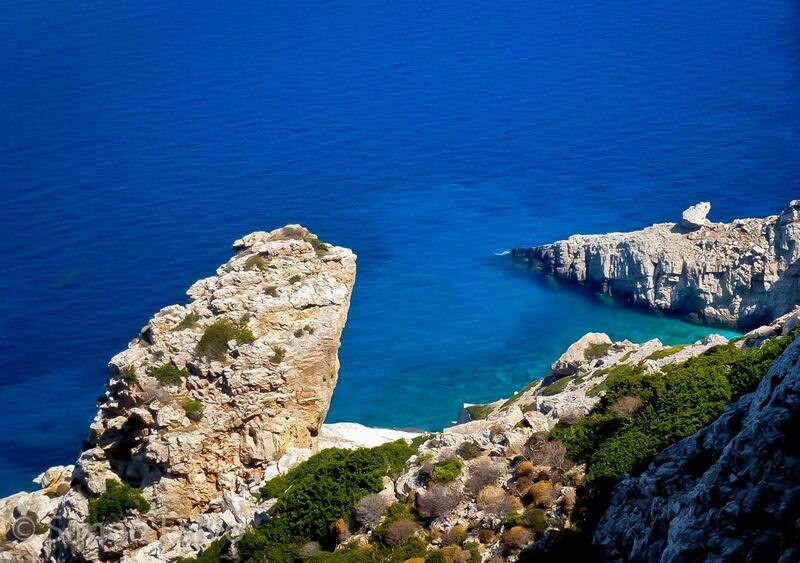 Folegandros! One of my favorite places on earth. We’ve gone 2 out of the 3 past summers — can’t get enough. So glad you too liked Folegandros. The island has a wonderful charm! 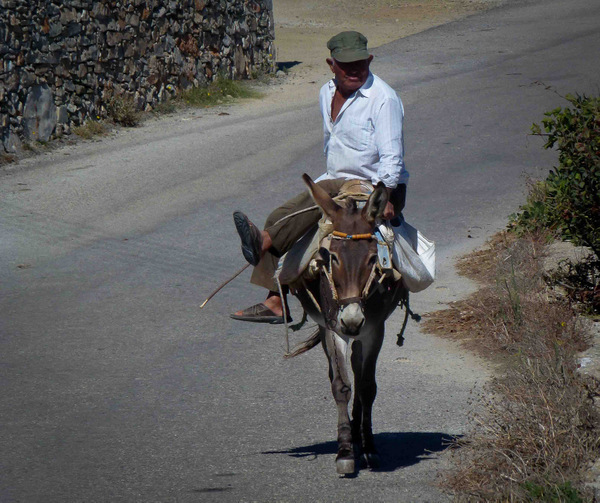 Your post brings back wonderful memories of several trips to the Greek Islands, although not this particular one. I’m extremely fond of Greece and find that a trip to the islands will always allow me to stop, just be, and enjoy every moment without the hurry of my life at home. I am visiting Thassos this year, and I can’t wait. Now I could get used to the pace of life here – well for a few weeks anyway. Your pictures are really lovely. You were a good photographer a long time ago! You have created such a wonderful picture of this island Simon, that I feel the time has come to revisit Greece and maybe your beautiful island. I hope you get back there one day! Thank you, Jenny. Folegandros occupies such a special place in my heart and I’m glad that I was able to convey at least a little of it.